The new man lives in a world that is always being created and renewed. He lives in this realm of renewal and creation. He lives in life. Thomas Merton. The Intimate Merton, ed. Patrick Hart and Jonathan Montaldo. (New York: HarperCollins, 1999): 138. Fear is the knowledge of ourselves in the presence of God’s holiness. It is the knowledge of ourselves in His love, and it sees how far we are from being what His love would have us be. It knows Who He is and who we are! Thomas Merton. Faith and Violence. (Notre Dame: University of Notre Dame Press: 1968): 27. What is the use of prayer if at the very moment of prayer, we have so little confidence in God that we are busy planning our own kind of answer to our prayer? He does not need our sacrifices, He asks for our selves. And if He prescribes certain acts of obedience, it is not because obedience is the beginning and the end of everything. 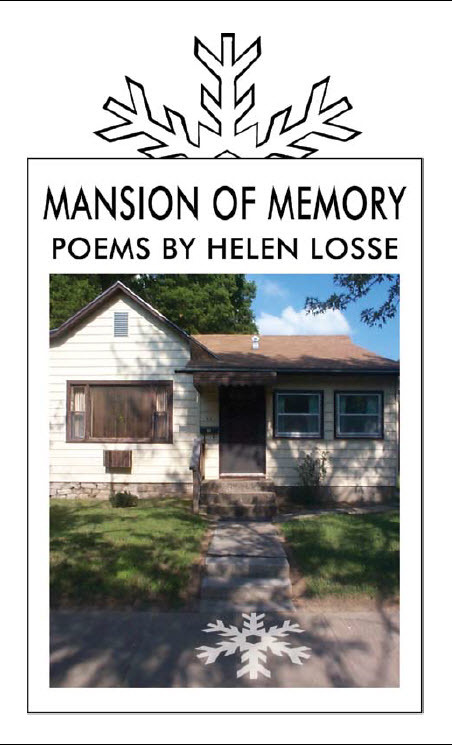 Mansion of Memory, my new chapbook of poems from Rank Stranger Press, arrives today. 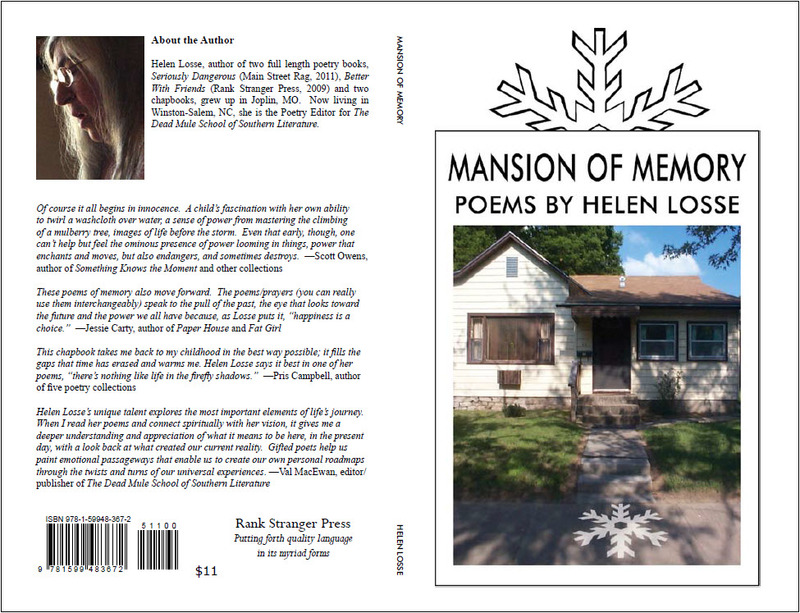 The chapbook sells for $11 (plus $2 postage). Proceeds go to Bright Futures Joplin Tornado Fund to help with rebuilding costs in Joplin, MO, my hometown. Please order a copy. Contact me for where to send your check. Thank you in advance.